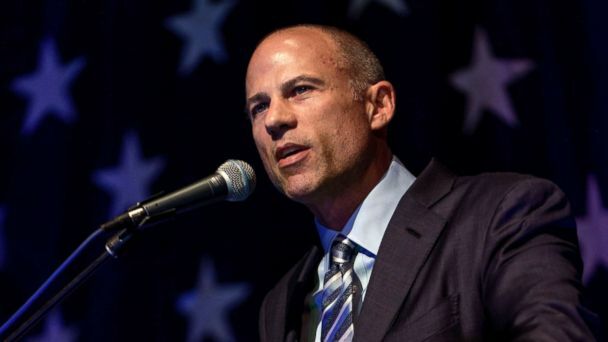 Stormy Daniels' lawyer Michael Avenatti is flirting with the possibility of a presidential run and says there are "a number of reasons" he should be taken seriously as a potential Democratic candidate in 2020. In an exclusive interview on "This Week" Sunday, Avenatti told ABC News Chief White House Correspondent Jonathan Karl that throughout his career he has consistently stood up for working people against powerful opponents. "There are a number of reasons I should be taken seriously," Avenatti said. "For over 18 years, I've been fighting on behalf of Davids versus Goliaths, some of the largest corporations in the world, con men, fraudsters. I've had great success." "I'm a student of the law," Avenatti said. "I'm very well-versed in a lot of issues that are at the forefront of our society right now. Environmental, issues, issues relating to the Supreme Court, issues relating to working people. And so I think that that also qualifies me." Avenatti has drawn national media attention through his outspoken representation of adult film star Stormy Daniels, whose real name is Stephanie Clifford, in her lawsuit against President Donald Trump and his former lawyer, Michael Cohen. He is now testing the waters for a potential run in 2020, including visiting Iowa on Friday to address local Democratic officials. Karl asked the California native, "What's the Avenatti policy issue?" Avenatti responded, "The truth ... I deal and have dealt in 18 years with facts and evidence. That's how you're successful as an attorney." When Karl pressed for policy specifics, Avenatti said he supports calls to establish 'Medicare for all' but does not go along with proposals to abolish the Immigration and Customs Enforcement agency (ICE). Avenatti said the immigration enforcement agency should instead have its power curtailed. Avenatti sided with President Trump on at least one issue, trade. "I agree with the president that there have been a number of trade deals put in place over the years that have been on one side," he said. The attorney has previously said he would enter the 2020 race only if he believed that none of the Democratic candidates could beat Trump. When Karl asked him his view of specific candidates, he demurred and offered instead a broad criticism of Democratic hopefuls in the past. "I'm not going to opine as to whether I think a particular candidate can beat Donald Trump or not," Avenatti said. "Over the years, Democrats have had a lot of very talented individuals, but they have lacked fighters."